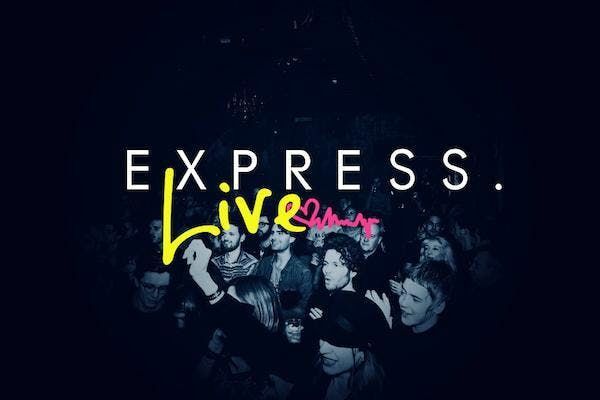 Success Express returns to the Century in 2019 with ExpressLive, our premium live events programme.The Century is the ideal setting to frame so many outstanding singer songwriters, from stripped solo to fuller band sets, offering a pretty much perfect live experience for fans and new audiences appreciating such artists right in the heart of Soho.Our February MidWeek Sessions feature:DAISY CHUTEDaisy Chute is a folk songstress and multi-instrumentalist and regular on the London music scene. An award-winning artist, Daisy came first in the Coffee Music Project singer-songwriter competition and had a successful tour of America in October. Daisy has been lucky enough to be mentored by rock royalty Sir Ray Davies and featured as a vocalist on Radiohead's latest album A Moon Shaped Pool.MOHANMohan. singer, writer, multi instrumentalist, and aspiring producer, Family of Sam Brown (Singer/Artist) Robin Wynn Evans (producer) Joe Brown (Artist)Vicki Brown (singer). Mohan Evans began as an acoustic singer songwriter, releasing his first EP in 2014, which he coproduced with his Father Robin Wynn Evans, and Uncle, Pete Brown. Mo saw a strong and positive reaction from both the public ear, and music industry with his first release and since then he has been working as a writer, producer and musician for his next release. Releasing under his full first name, with a new take on his artistry, musical and writing ability, Mohan is now producing his newest record in London hoping to share it with the world in 2019.KINGSGATEChildhood friends, Rob and Stevie grew up together on the Kingsgate estate in Dalston, London. After leaving school Stevie signed with Sony as part of the band, Evidence, whistRob continued writing, recording and shooting his own videos. But they never forgot their roots and later joined forces, forming Kingsgate.With influences ranging from Michael Jackson, Marvin Gaye, Stevie wonder, Otis Redding through to Red Hot Chilli Peppers and more Kingsgate have been building an exciting reputation on the London music scene, and recording with international music producer, Prasheen Naran at Hackney Road Studios. KATIE NICHOLASAward winning singer-songwriter, Katie Nicholas, quickly gained recognition through the filming, animating and designing of her own music videos and campaigns while captivating audiences with her intricate lyrics, unique guitar style and magnetic presence on stage.Her musical journey began after uploading her debut music video “Chemistry” at seventeen, hitting over 100,000 viral hits, landing her a LMA songwriters award sponsored by Mayor of Liverpool, leading to regional BBC airplay and a no.1 in the Hotdisc Country Chart. Katie went on to perform at C2C, Bush Hall, with features in AmericanaUK and Country Music People. During Katie’s short career, she has worked with and supported great artists including The Verve, Nina Nesbitt and Rizzle Kicks. More recently, visiting Abbey Road Studios and Blackbird Studio in Nashville TN to record her second album.Doors 7.00pmShow 7.30pmTickets strictly advance only via Eventbrite.